We have totally fallen in love with our sponsor, BookShark. This list of the Best Documentaries to use with BookShark Level 6 has been a great resource for our son over the last year. As we have gone through this level, we found tons of ways to make it more fun for him to learn. He is such a visual learner, that it worked out great to include more videos. 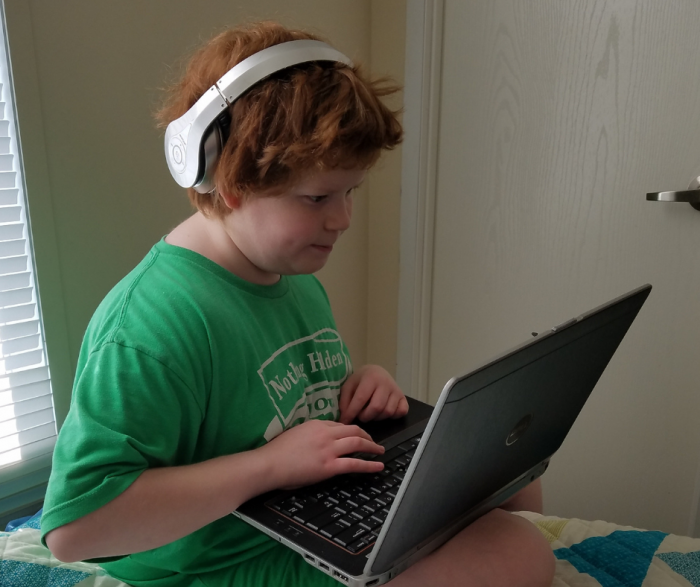 We received the BookShark Level 6 program for use with our son in exchange for reviews here on our blog. As we have utilized this in our homeschooling efforts over the last year, we have fallen completely in love with the program. For more information about how we use Bookshark, check out the posts linked below. Kids Animated History of Egypt – This option on YouTube by History Trailers is great for younger kids. Easy to watch, and short enough to keep their attention span. It fits readily into the early days of studying Egpyt. Ancient Egypt for Kids – Homeschool Pop is a favorite, and this is under 20 minutes with great animation so perfect for the short attention span of tweens. What the Ancient Egyptians Knew – This Discovery channel full-length documentary fits ideally with the early lessons in Level 6. Ancient Greece for Kids – Another great option from Homeschool Pop, this one is just a bit more than ten minutes in length but ideal for introducing your kids to the Greek portion of Level 6. The Ultimate Guide to Greek Mythology – While this one was fine for my mature 11-year old son, it does have some subject matter that you may prefer to not have your child view. True mythology does deal a lot with some adult content, so I recommend viewing this yourself prior to letting your child watch. Ancient Rome Documentary – This short documentary is a great beginning to the history of ancient Rome. 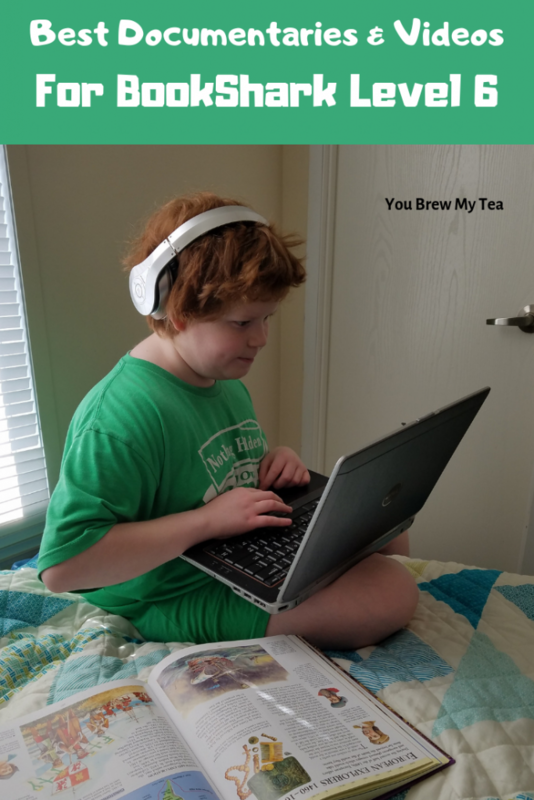 Ancient Rome for Kids – This Homeschool Pop option is short, sweet, and to the point. It’s excellent for a beginner introduction to the history of Rome. Naked Science – Roman Tech – If you have kids interested in how things were built, or how battles were won – this is an amazing option to introduce them to the tech and science behind Ancient Rome. Good Thinking – Chemical Reactions in Action – This video from the Smithsonian Institute is a great fun introduction to chemistry for any level. The Periodic Table – Crash Course is by far one of our favorites for great content. This video is short, but covers the basics of the periodic elements and helps children (and adults) understand the need for the table. Periodic Table Song – Kids Learning Tube presents an amazing periodic table song to help your kids learn more about the elements while also picking up on a catchy song. Swings, Slides, and Science – This fun video from SciShow is a great introduction to physics for your children. Quantum Physics for 7-Year-Olds – If you haven’t seen this TedX Talk yet, then you definitely should. It’s for 7-year-olds, but really for everyone. A great way to introduce high level physics in a way children can understand. Newton’s Laws – This Crash Course video on physics is a fun way to introduce your kids to the laws that rule the world of physics. How the Universe Works – This full-length documentary shows tons of information from the beginning of time to the present day. This is evolution based, so not for those who are creation minded. Learn Biology with Dr. Binocs – For kids who love something fun and somewhat hands on, this is a perfect video that presents biology. Human Body Systems for Kids – Kids Learning Tube is a perfect place to go for human body information. This is geared toward children and ideal for their ability to learn about the human body. How the Human Body Works – Another wonderful option for learning about the inner workings of the human body. No matter how you structure your day with BookShark, there are tons of ways to make it unique to your family. We have loved all of the read-aloud options, and it has created extra time together as a family. We did, however, find that we sometimes had to read 2-3 days of work in one day to keep our obligations at bay. It worked for our family, but might not for others. Adjust what you need to make the curriculum work for your family. That includes adding or subtracting some of the videos here to help. 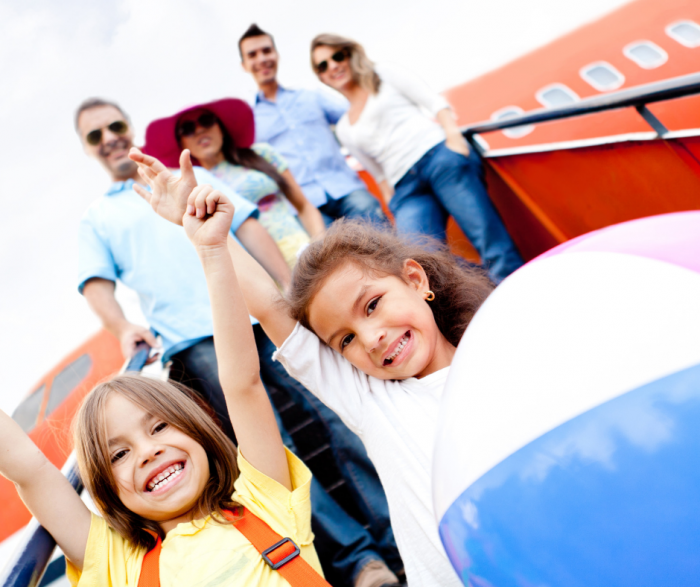 Are you planning a fun family vacation? Do you want to take your children to new and exciting places, seeing sights they’ve never seen before and going on wonderful adventures they’ll talk about for days? 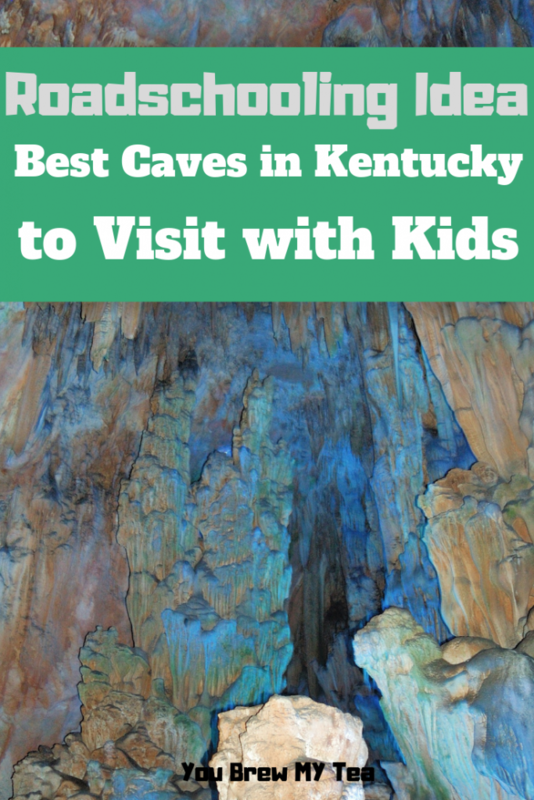 Look no further than this list of the Best Caves in Kentucky to Visit with Kids! Kentucky’s caves may be just what you’re looking for. This post may contain affiliate links. I earn a small commission on purchases made via these links. 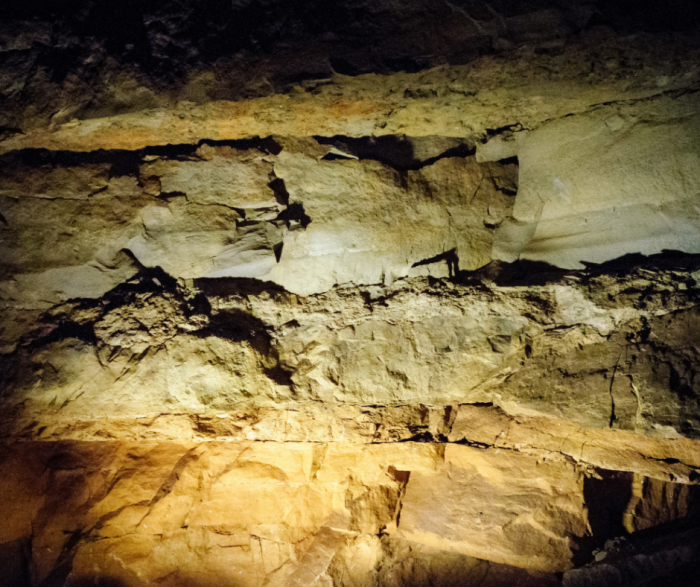 My friend Jasmine gathered some great information to share with you about caves in Kentucky. This summer as we plan some travel, we are considering Kentucky as a place to visit with our son. Since we love making road trips educational, this seemed like a perfect idea to feed his interests. I love including natural education while learning something new about a destination! The largest known cave system in the world, Mammoth Cave, is located in Kentucky. How long is this cave? Over 400 miles of the cave system has been explored. The cave is the main attraction but that isn’t all this National Park has to offer. They offer camping, horseback riding, bicycling and more! Those are just the land options. For those who don’t mind getting a little wet, they also offer canoeing, kayaking, and swimming. While reservations are not required, they come highly recommended due to the high volume of ticket sales. They offer a variety of tours, not just for the cave. 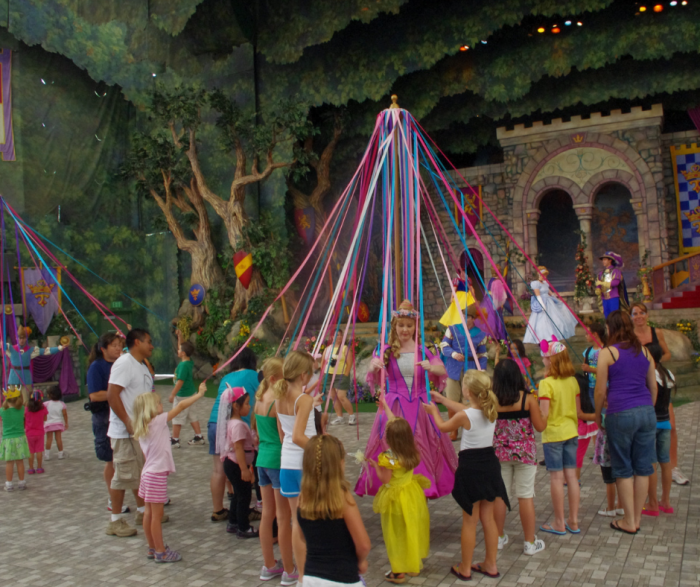 The prices for adults range from $8-$20 and kids from $4-$20 (ages 6-12). They also offer discounted rates for parties of 12 and up. There are also a numerous amount of places to visit in the park: The Big Woods, Cave Island, and The Rotunda just to name a few. In Bowling Green, Kentucky, you will find the Lost River Cave. Home to Kentucky’s only underground boat tour, it is perfect for a family outing. The tickets are affordable, so a family of five won’t have to spend an arm and a leg just to have some fun. The Lost River Cave not only has the cave boat tour but you can also go on one, or both, of their Zipline tours. If you and your family don’t have a fear of heights and want to get that adrenaline pumping, ziplining is the way to go. Tickets are sold on a first come-first served basis but walk-ins are accepted. They also have a nifty little gift shop to pick up a souvenir to commemorate your time at the cave. Bonus: If you have a car lover in your family, the National Corvette Museum is close by to the Lost River Cave in Bowling Green, Kentucky. What could a small town such as Olive Hill, Kentucky have to offer? Why not a cave? Carter Caves State Resort Park resides in this town of only about 1,600 people and there is a lot to do here. With over 12 tours, between walking and crawling, there will never be a time where you’re sitting around wondering what you should do next. The Bat Cave Walking tour lasts about 45 minutes while the Bat Cave Crawling tour lasts about 3 hours. Each will offer a different experience. Two of the caves are guided tours all year and they also offer 2 tours that are self-exploration; one is open only on Labor Day and the other is open year round. Some other things to do are hiking, bird watching, camping, canoeing, and so much more. You can reserve a lodge, cottage, or campground to max out having the most fun and the best family vacation. Now, we travel to Horse Cave, Kentucky to find the Hidden River Cave. 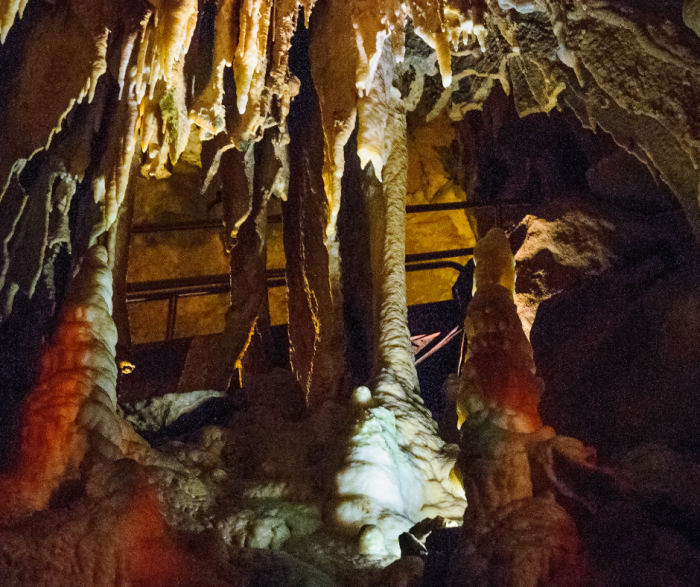 Explore the underground cave system on a guided tour. Reservations are not required for any of the tours offered, except the Wild Off-trail cave tour which requires a 2-day notice. Children 5 and under get in for free, kids tickets are $12 and adults are $22 for the public guided cave tour. This tour lasts about 1 hour, so for me, someone who doesn’t like long times underground, this is definitely one of the best caves in Kentucky to visit. They offer tour packages that could also help you save and maximize your experiences. Cave tours aren’t the only thing this place has to offer. Ziplining and Rappelling could be crossed off your bucket list today! If you like museums, they have one too! The American Cave Museum will teach you about the wildlife that was around and so much more. Horseback riding, mini golf, zip lining, and bumper carts all have one thing in common: Outlaw Cave. It is located in Cave City, Kentucky. Outlaw Cave is non-strenuous so it is definitely the most family-friendly cave. This cave tour is probably the shortest at approximately 30 minutes but there are other things to do here as well. There are guided trail rides the whole family can enjoy. No reservations and with prices that definitely won’t break the bank. One of the best things about Outlaw Cave is they include All Day passes that will have you running around and enjoying your day for hours. Included is unlimited rides on the alpine slide, chairlift, trampoline and climbing wall. The Cave tour is free with the All Day pass. Mini-golfing, bumper cars and go-carts also come all included in the pass as well. So, whether you take a leisurely stroll through the cave or race with go-carts, the activities you have access to will surely put a bright smile on your children’s faces and be an experience you will never forget. Wherever you go, and whatever you decide to do, the caves of Kentucky are waiting for you and your family to indulge in the rich history, amazing sights, and fun activities. Before you go, take a moment to grab the book, Caves: Learning About Landforms book for your kids to read ahead of time. This helps them learn a bit more about what to expect, and can be a perfect tool to include in the classroom. For yourself, the book Blind Descent: The Quest to Discover the Deepest Place on Earth is a good read to prepare you for learning more about caves. February isn’t just the month of Valentine’s Day cards and candy, it is also Black History Month. This is a wonderful time to explore Black History with your kids so they can better understand the men and women of color who made this country so great. If you aren’t sure where to begin, take a look below. These simple suggestions can help children better grasp how important this month is. 1. Head to YouTube to listen to Dr. King’s I Have a Dream speech. There is no better time than now to listen to this famous speech and really pay attention to the words and message. Listen to this “I Have a Dream” speech with your children and talk about any questions they might have after listening to it. 2. Visit the library to check out biographies of well known African Americans. You will find so many kid-friendly biographies about Rosa Parks, Barack Obama, and many other well known African Americans in history. Now is the time to head to the library and check out a stack so you can read up on them and discover new facts. Below is a list of some of our favorites to pick up and learn from during Black History Month. 3. 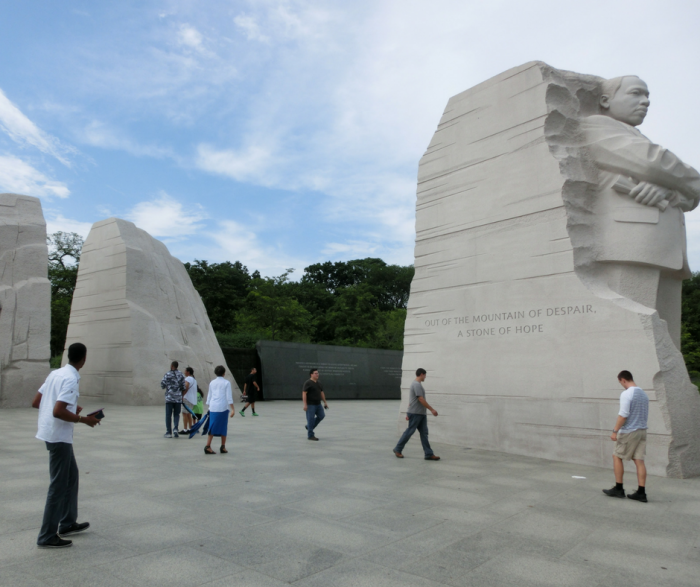 Visit your local history museum to check out any exhibits showcasing notable African Americans. With Black History Month being in full swing, your local museum may have exhibits of interest. If not, see if you can find virtual exhibits online to enjoy. This is a great way to get up close and personal with history. We love living in Battle Creek, Michigan. It is the final home and resting place of Sojourner Truth. There is so much here to learn! This children’s book takes the reader through the alphabet teaching them a fact with each letter. It is a great way for kids to learn more about African American history in a way that is kid-friendly and invites lots of conversation when the book is done. “D is for Drinking Gourd” is an excellent kids book! 5. Find streets or schools in your city named after African Americans. Take a look at schools, buildings, and streets in your city and see if any of them are named after well known African Americans. If so go on a tour of these spots and see if you can find out more about the men and women they are named after. 6. Find items you use each day that were invented by African Americans. Did you know the traffic light was invented by an African American man? There are many items we use and count on each day that were invented by African Americans. Take the time to learn more about these items and the people who invented them. 7. Write a letter to an African American you admire (mayor, musician, actor, etc.) telling them why. Think about a well-known person you admire. Take the time to write them a letter thanking them for their contributions and courage to face adversity. Let them know that they matter to you and that you don’t want their story to be ignored. 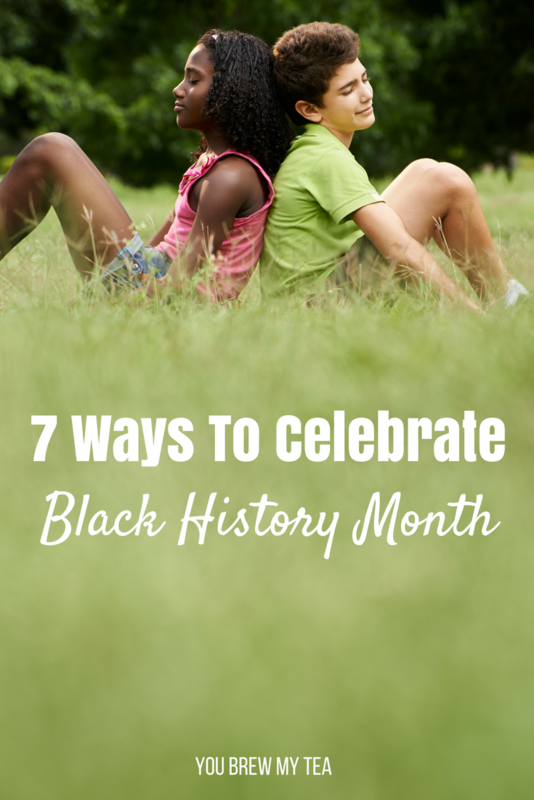 As you can see, there are fun, easy, and even frugal ways to explore Black History Month with kids. Give some of these suggestions a try and see how they can help you embrace this month fully! We know that Disney is fun, magical, and a great way to make memories, but did you know that Disney is also the perfect place to tie in those math concepts you have been working on with the kids? 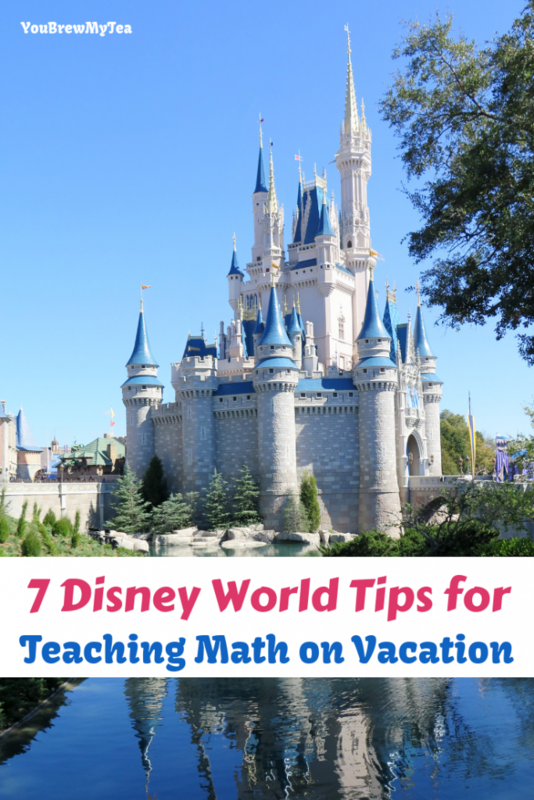 These Disney World Tips for Teaching Math on Vacation are all about learning while enjoying your time in this popular travel destination! Check them out and plan to keep the education going during your next trip! This post contains affiliate links. I may earn a commission on purchases made via these links. Disney is a treasure trove of lessons to be learned, and below are some excellent ways to incorporate them. Math is one lesson that is used every day in little ways that kids may not realize. These tips below are ideal for keeping them learning while they have fun at one of their favorite vacation destinations. When kids are ready to pay for their gift shop purchase, let them try counting out their own money. This way they can practice counting coins, adding bills, estimating purchase cost, and even estimate the change received. You can even include things like helping older kids learn about multiplying percentages so they can figure out the sales tax on purchases to know how much they should have on hand to pay for an item. If your little ones are too young to count out money yet, don’t worry – there are many math activities for preschoolers that are natural and can help them learn along the way. They can still enjoy handing over the money or even putting it back in their wallet as a fun part of the trip. Use an app or wear a device to track how many steps you take. Before the day begins, make estimations about how many steps you will take. Record everyone’s answers. At the end of the trip, right down the final numbers. How close were you to your estimate? If you don’t have one, I love the Letsfit Fitness Tracker for things like this. It is inexpensive, works well, and is ideal for travel. That way you won’t worry if it gets lost, because you haven’t spent a lot of money. Cinderella’s castle is one of the biggest attractions on the property. Have kids take guesses at how tall they think the castle is. You can ask a park member for an answer and they should be able to tell you! This is an awesome way to teach about ratios, measurements, and many other common parts of math that are used in everyday settings. Show the kids how they will need to use math in everyday life down the road! When a ride gives you an estimated wait time, have children consult their watches and see what the approx. ride time will be. This is a great way to practice counting minutes and hours so kids can help plan the day accordingly. I love these kids inexpensive waterproof watches for trips like this. They are great for everyone to wear and keep track of time for rides, as well as meeting back up if your children are old enough to go on rides by themselves. My favorite Disney trip tips involved getting kids involved in the budget and planning process. We have tons of tips for how to afford Disneyland, and those tips apply to Walt Disney World as well. You can easily sit down with a travel budget, and have your kids do research on meal plans, food cost, hotel rates, or even flight rates. Another idea is to give your kids a certain amount of money to spend on snacks and gifts. Before you go, have them create a budget using this amount. Have them decide how much they want to spend on snacks, drinks, toys, or other experiences at the park. This is great for generic life skill lessons, but also incorporating everything from basic addition to multiplication. Look for all sorts of 3D geometric shapes such as spheres, cylinders, cones, and cubes. Point out these objects when you see them and talk about what qualifies them as 3D geometrical shapes. You will be shocked at how many you find! Just look for balloons, trash cans, boxes, and more. One of the best parts of a Disney trip is finding the “Hidden Mickey’s” around the park. Those three little circles are a great start to your geometric shape hunt! Whether you are eating a pancake, cookie, or drinking a beverage, talk about fractions. Divide the item in half or fourths. Talk about fractions as you snack and see if you can break your snack into even pieces. What about that pretzel? Is it symmetrical? Get the fraction conversation going! As you can see, we have some great practical Walt Disney World tips that are perfect for keeping your children learning while on vacation. Math is one of the easiest things to teach while on the road, and trips like this make it even easier. Whether you are planning a short trip to Walt Disney World or heading to the West coast to visit Disneyland, you can continue your educational journey with ease. Have you ever found yourself frustrated with your baby because they will not stop crying? If only your infant could speak, you would know exactly what it is that they need, and how to make them stop crying. Communicating with your baby is easier than ever when you begin teaching baby sign language right away! American Sign Language is becoming more and more popular with parents and babies, and below are just a few of the reasons why. Having a baby changes your perspective on so many things. Language and communication are some of them. 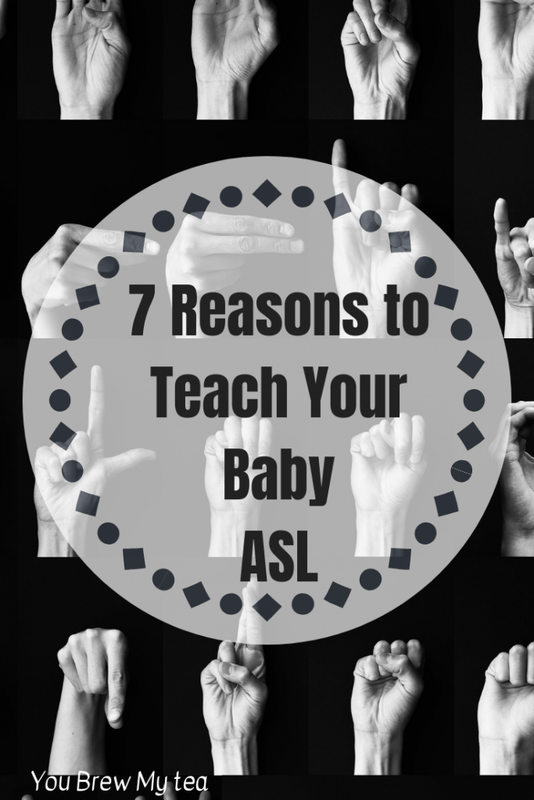 The reasons below are just part of why teaching your baby sign language is a good idea. If you are looking to learn on your own, check out this great American Sign Language For Dummies book. It is an excellent resource that also comes with videos. When you have little ones that cannot speak, it can be hard to communicate with one another. However, with the help of ASL, babies as young as 6 months can begin to associate words with signs, for better communication. By 8 months, some babies can even begin signing back to you, to let you know what they need or want. This helps tremendously when you have a child who is slower to verbalize needs. It can be incredibly frustrating when you want something but cannot have it. Well, think about a baby who has no words yet to communicate that they want milk. By using simple signs your baby will be able to communicate with you and a meltdown will be avoided, because your thirsty baby will get what they will need. Teaching baby sign language can help keep your child calmer and give you tools to satisfy their needs. How often do you find yourself talking to your child while staring at your phone? Singing with your child will force you to look at them, and wait for them to sign back. You will find yourself having more quality time with your child, rather than staring at a screen. It’s ideal for parents to bond with their babies. Especially since many parents feel like babies don’t really bond well since they can’t talk and share like an older child. When you and your baby can understand one another through signing, it can really do their self-esteem and confidence some good! There is no other feeling like when mom and dad understand you. You may not have realized how much these little things add up to building a confident and happy child. When you are talking to a child who does not understand words, it can be hard for them to follow along. However, having certain signs for certain words will help them associate the word with its meaning. Also, the muscle memory involved with help with your child’s memory retention. This will go a long way toward speech development and understanding as they age. Even a toddler can understand more when you help them to visualize things using sign language. You and your baby are going to be focused more on each other. Your baby will need to look at you to communicate with you. Plus, you’ll be forced to pay even more attention to them because they’re trying to communicate with you. This encourages that bonding experience you need. It helps for the future as well because they will trust they can come to speak to you. You will be teaching your baby ASL, but you can also could on this skill. 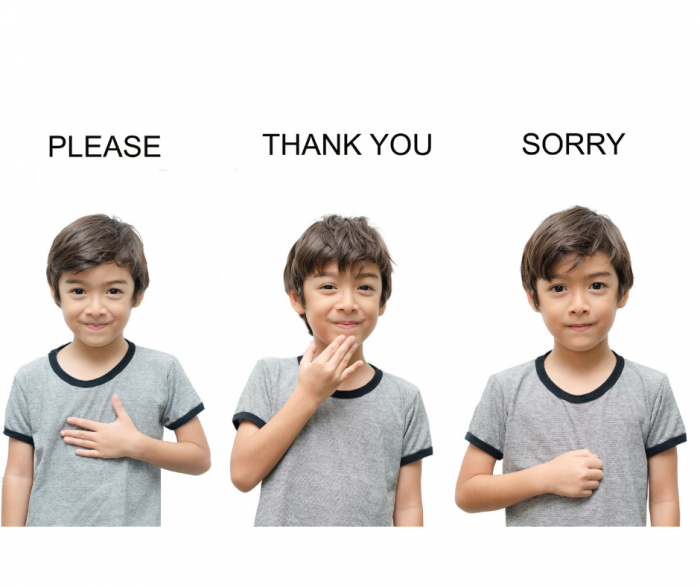 As your child grows older, you can teach them more ASL. Time will go on and they will be very efficient at communicating in American Sign Language. This means you can easily communicate with others in your community that may be deaf. This skill is wonderful to have and can be a great way to teach compassion and love to your child along the way. Teaching baby sign language is a very simple way to help them learn something new and you bond with your baby. It is a wonderful and seamless way to grow communication in your family. As a parent of a baby, or any age child, consider including ASL into your routine for learning and teaching better communication skills.